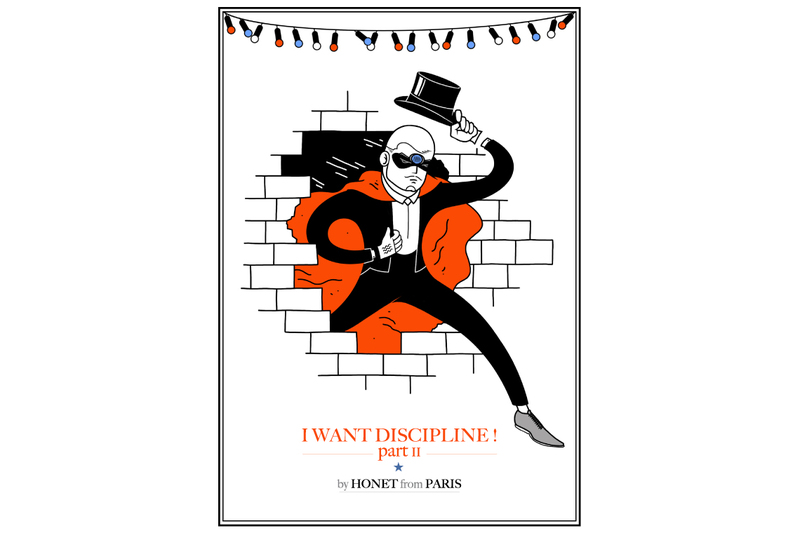 GALLERY TARGET is pleased to announce our up coming exhibition with a French artist HONET entitled “I WANT DISCIPLINE part II”. Starting from May 19th (sat) till June 5th (tue). This is a part of circulating exhibition starting from France (Marseille), Japan (Tokyo) and Switzerland (Lausanne) and is HONET’s first solo exhibition in Japan. HONET started graffiti in 1988 from Paris. Since then his pop and gothic characters are seen not only on walls or train tracks but also in galleries across the world and some apparel brands. In “I WANT DISCIPLINE part II” we will be showing his photos, editions and interactive 3-d objects. This will be the first time for Tokyo to experience HONET’s world. In 1988, a young Parisian discovered graffiti. He was only 15, but he knew that from that momentnothing would ever be the same again. In the time it took other taggers to work out how to change the nozzle on their cans, Honet’s work became a reference in the Paris graf world. At the end of the 1990s, he decided change direction and swapped his spray-paint can for a brush. A second career began in which this time the walls covered were in galleries. His style, a cross between the gothic and modern baroque, has been strongly influenced by his travels across Europe and Asia and is nourished by the abandoned spaces (churches, forests, industrial buildings, catacombs) he visits. His images of ravaged landscapes peopled by skeletons have already been exhibited widely from Europe to America to Asia and the artist has collaborated with companies including Prada and Ruby along with numerous press publications in Fact, WAD, Clark and Voxer amongst others.